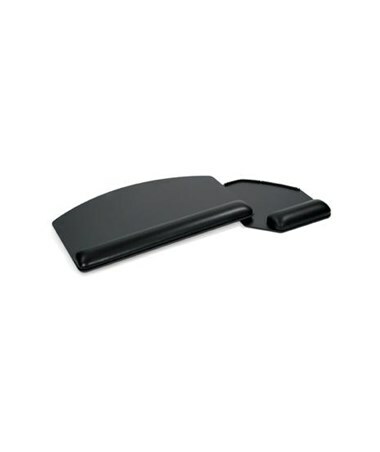 ESI's Swivel Mouse-Below Keyboard Platform is a great option for users with limited workspace. With a swivel mousing area, the real estate taken up by the platform is quickly and efficiently reduced whenever necessary. The platform measures 26.375" wide when the mousing area is open, and 22.25" when it is closed - that's a big 4" when you're working in a cramped environment. The actual keyboard area is 18.75" wide, with the 7" mousing area attached to that. 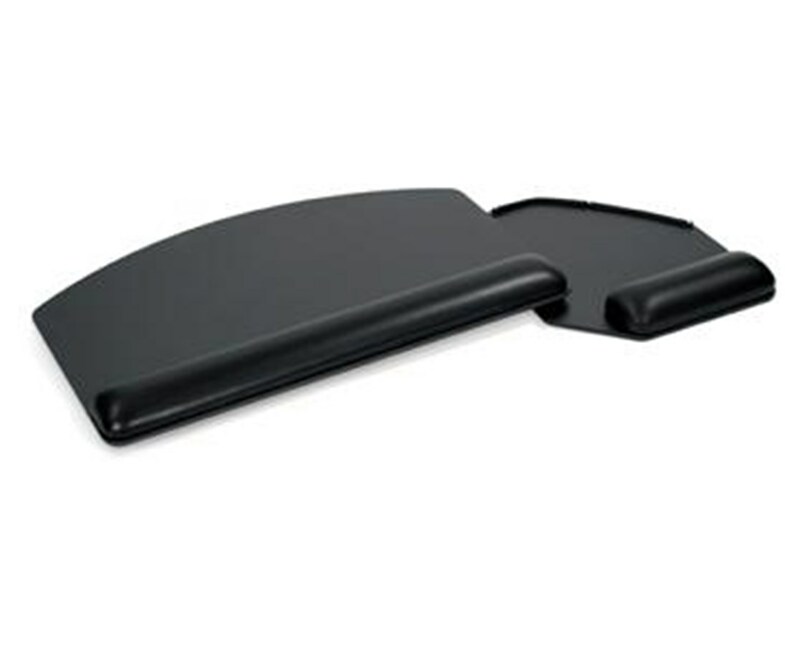 The mousing surface includes its own dedicated palm rest for healthier, more comfortable use.